With Christmas sneaking up on us once again I’m taking a quick break from basket making to publicise my Willow Sculpture Days for January – April 2018. My Willow Sculpture Days make great gifts as they are a brilliant introduction to creating animals and sculptural baskets in a day. What I love so much about teaching these workshops at Coates English Willow on the Somerset Levels is that not only do I get to give you a tour of Coates (and show you just how incredible they are!) including a visit to the basket making workshop, but we also have a lovely lunch at the Lemon Tree Coffee House! 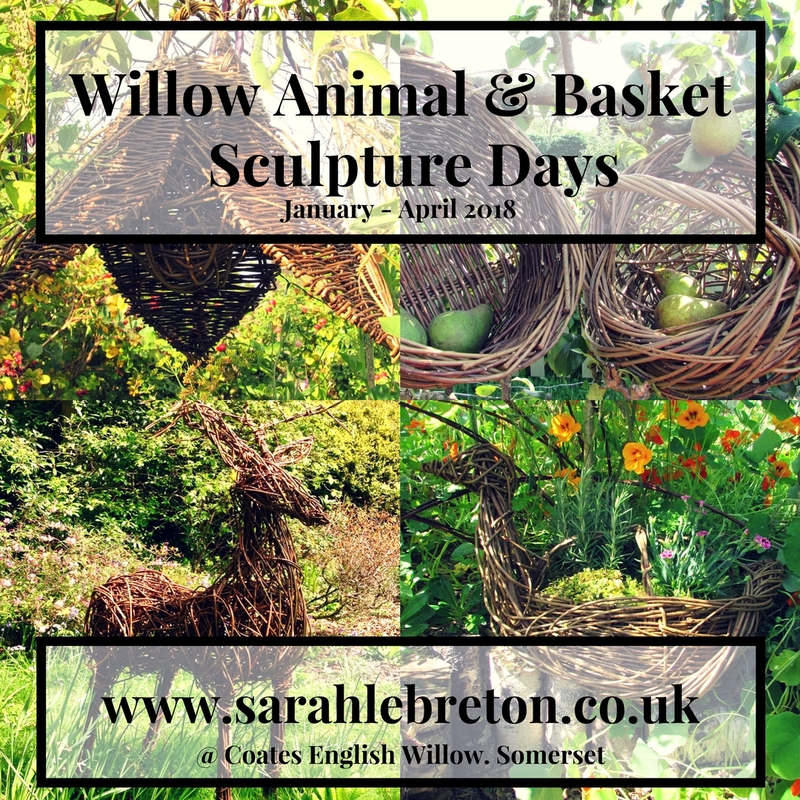 Alongside my popular Willow Animal Sculpture Days I’m really excited to be developing new and unique basket sculpture workshops that combine my love of basketry techniques with a sculptural twist. Ideal for beginners who would like to playfully make baskets (i.e. you don’t need to get hung up on order and correctness!) you can catch my ‘willow bug’ too by creating a sculptural herb bird basket or an elegant hanging flower lantern for you garden! For full details, current availability and booking please go to my courses page.